Fantastic Beasts Movie, Films, News, Rumor, SetReports, Warner Bros.
After production began on the next Fantastic Beasts film, an apparent filming base at Lacock Abbey was spotted and shared on YouTube, leading fans to speculate that Hogwarts will feature in the sequel. 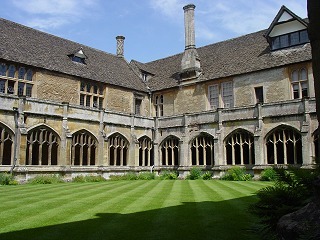 **UPDATE** Filming at Lacock Abbey seemingly confirmed. More details at the end of this piece. 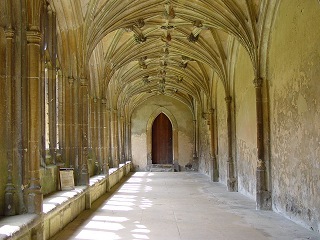 Lacock Abbey’s side rooms were used to film Snape and Quirrell’s classrooms at Hogwarts, as well as Harry’s discovery of the Mirror of Erised, and the abbey’s cloisters used for various shots of corridors and courtyards. Take a look at a few photos from BBC Wiltshire’s gallery (here) below, we’re sure you’ll recognise it! The Potter’s house and a church in Philosopher’s Stone as well as Slughorn’s hide-out in Budleigh Babberton in Half-Blood Prince were also filmed nearby in Lacock Village. The site is protected by National Trust, who have a dedicated spot on their website to help you ‘Walk in Harry Potter’s Footsteps’, which you can read more about here. The video isn’t much to go off of, and there’s no signs that this is actually the Fantastic Beasts team preparing to shoot at the site – it’s an understandably popular setting to film! 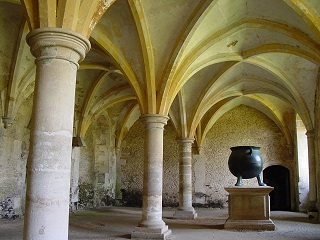 However, given the links to Hogwarts and the pretty impeccable timing, we’re excited for what it could mean for the next film if they’re shooting at Lacock Abbey. Could we see more of Dumbledore’s early days at Hogwarts? 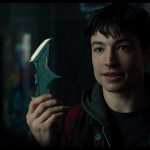 Or perhaps this will turn out to be a flashback scene or two explaining Newt and Leta’s history, which the team casted for back in June (covered on Leaky here). Do you have any theories, or further evidence of the Fantastic Beasts cast and crew filming ‘in the real world’? Rumors may have been quashed by a reader who commented on this post on Leaky’s Facebook saying they live nearby and according to security, the filming base is for ‘a period costume drama’ – that doesn’t entirely rule out Fantastic Beasts, but chances are looking a little slimmer. 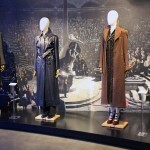 We look forward to knowing more about filming from Warner Bros / Pottermore soon! 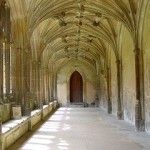 “John Boldon, deputy chair of Lacock Parish Council, said: “It’s been a big set, but it’s been kept under close wraps. Not only that, but a huge, secretive movie shoot has popped up close to Wells city centre, with the cathedral and several streets being closed off this weekend (16th / 17th September) for the filming crew. Could it be the Fantastic Beasts cast and crew? We’ll bring more updates as we find them!